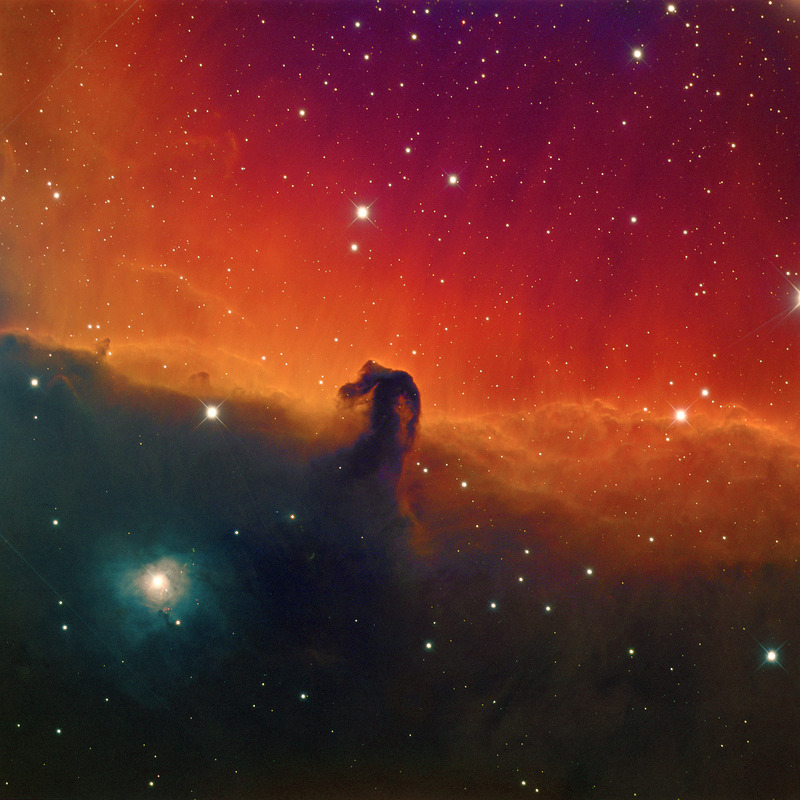 When I first started learning about astronomy, there were three deep space objects that really captivated my attention: The Andromeda Galaxy, The Orion Nebula and the Horse Head Nebula. As time passes and I come back to these targets I appreciate things about them I never knew or noticed before. After getting involved with horses this year I started thinking about the Horse Head Nebula again and wanting to image it. Its not visible in the summer, but this past November, as soon as the conditions and time were right, I started working on it. I just finished up last week. 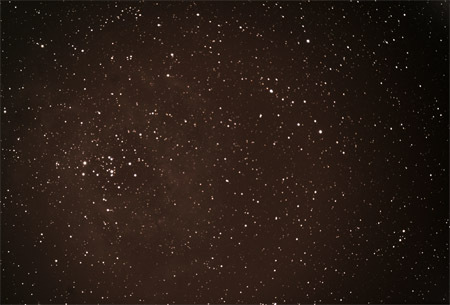 Over 38 hours of exposure time through 7 different channels on more than 20 different nights contributed to this final picture below. Its a combination of light data collected through narrow band (Ha, Oii & Siii), RGB (Red, Green & Blue) and Luminance (clear) filters. Total exposure: 7.6 + 7.6 + 7.6 + 3 + 3 + 3 + 6 = 37.8 hours! I haven’t gotten much scope time in this year for several reasons, some technical, some personal and most related to the short nights of summer. Now that the dark hours are longer and I’ve worked through a lot of my issues, I’m getting back into it. 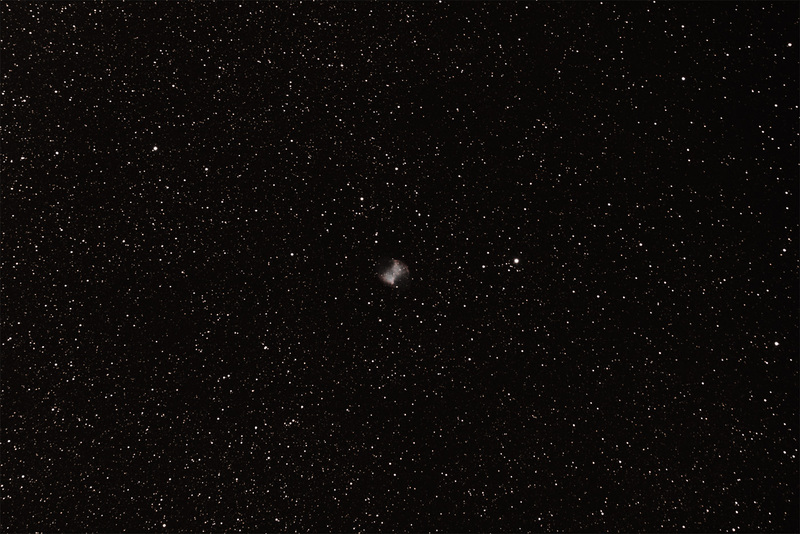 Here’s my first long exposure image since March. Its the NGC 7635, an emission nebula hidden in the constellation Cassiopeia. 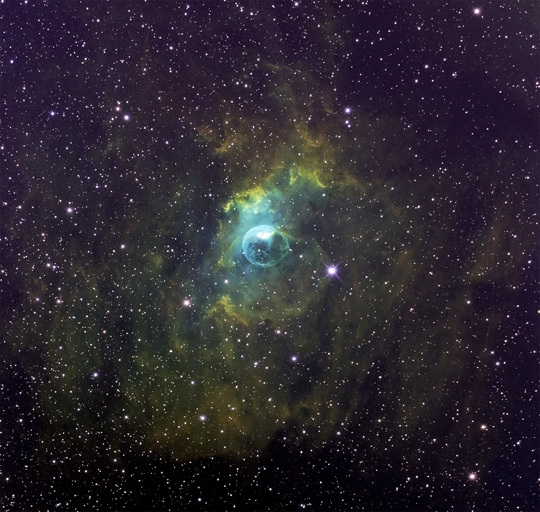 This image was shot using narrow band filters over 4 nights. A total of 15 hours of exposure time went into this picture. 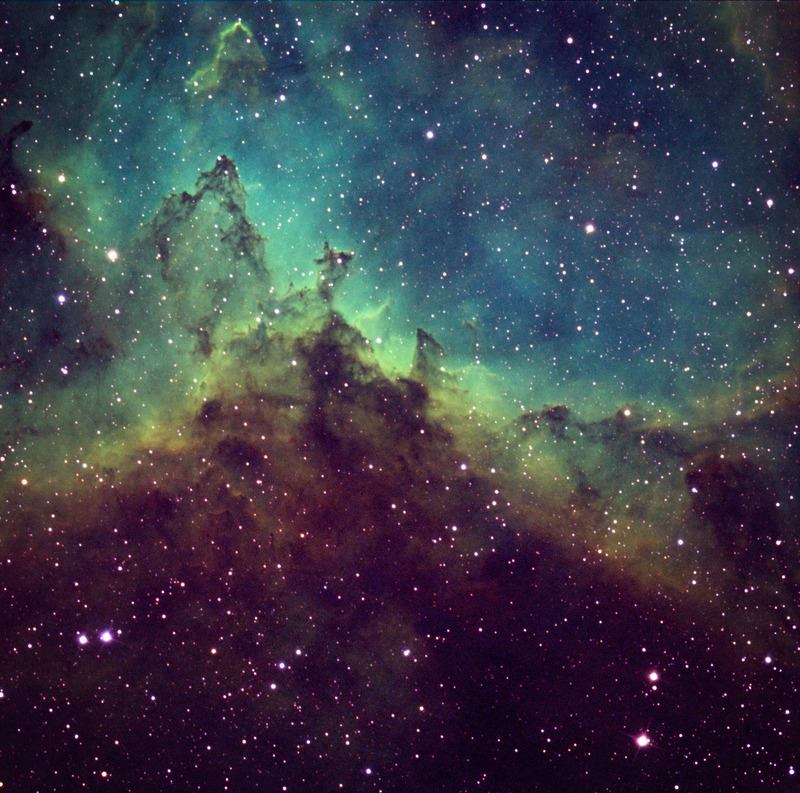 Here’s part of the Heart Nebula, an emission nebula found in the constellation Cassiopeia. 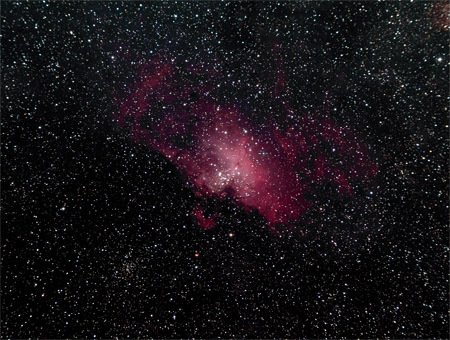 This expansive mixture of glowing interstellar gas and dust is over 200 light years wide and covers 2.5 degrees in the night sky — that’s a cloud of dust that would appear 5 times the size of the moon! 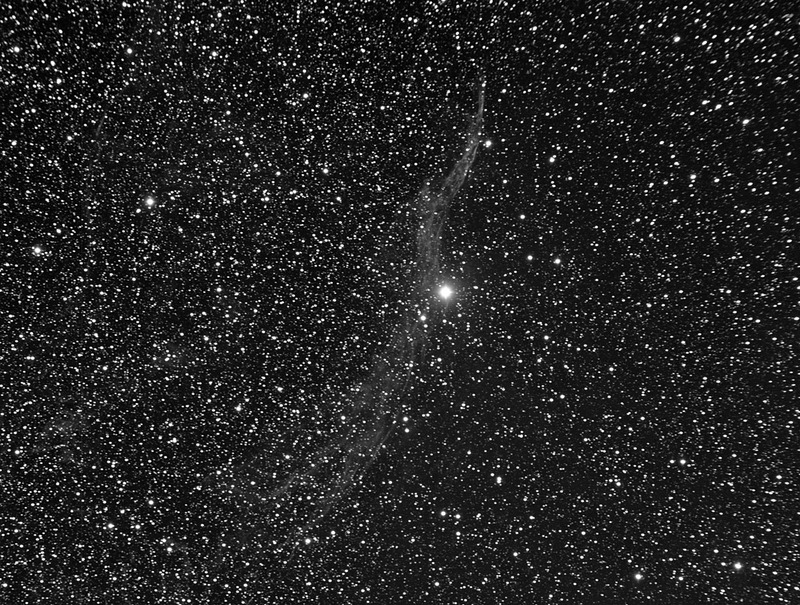 Too bad we can’t see it with our naked eye, but turn a telescope with narrow band filters on it for a few hours and this is what you get. 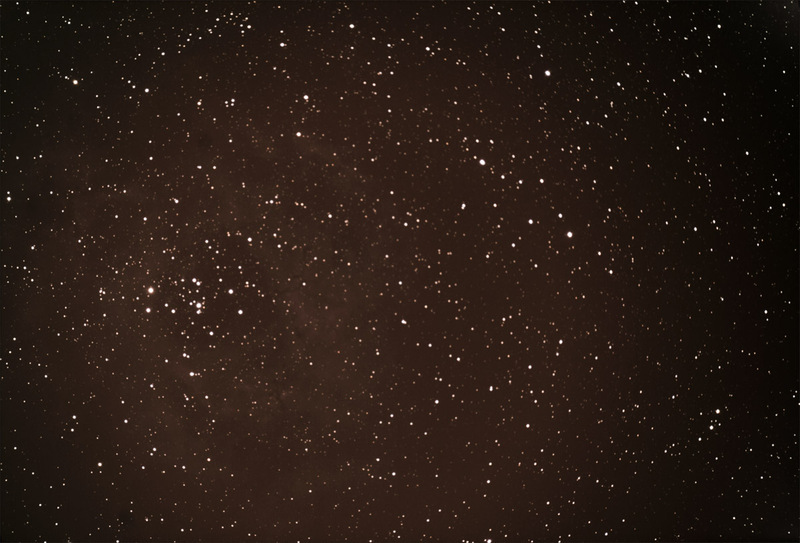 Click the pictures below for a high res version 1800×1750 pixels big. 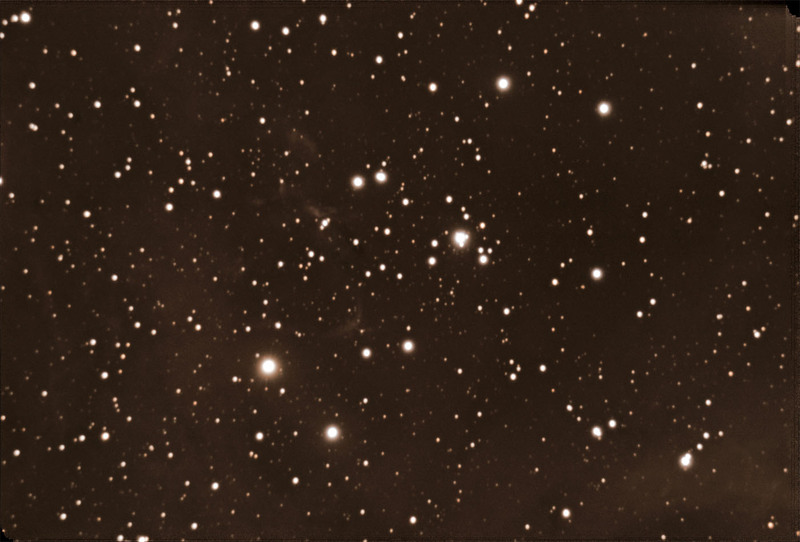 In order to capture the entire nebula with my current telescope I’d need make a mosaic using 6-8 pictures like the one above. 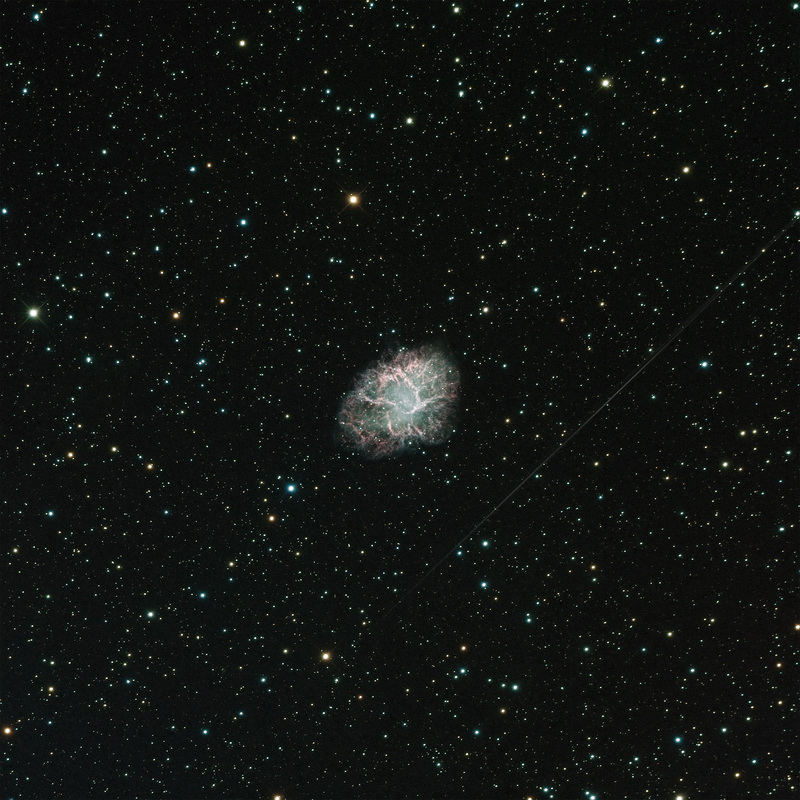 Here’s my first ever narrow band image using the Hubble pallet. 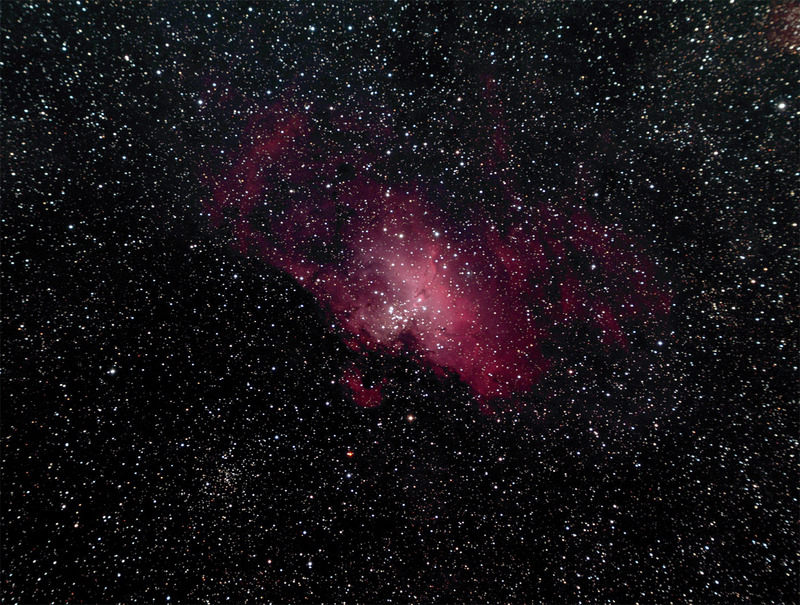 This is only about a 3 hour exposure. I wanted to collect more data, but a multi-day storm has come through CA and there won’t be a clear night for about a week, so I figured I would get this done as best I could and consider it version 1. 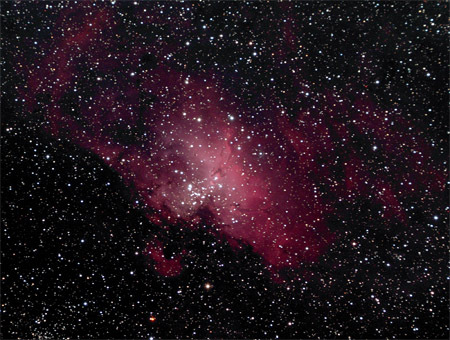 Here is a great tutorial on how to compose Hubble Palette images using data collected with Ha, Oii & Siii narrow band filters. I’ve gotten most of the bugs out of my system, but my tracking is still not 100%. I’m currently dealing with a 2 arc second guide error peak to peak, and I’d like to get that down to 1 arc second. Other than that, things are working pretty good. Approximately 3,000 light years away, the Elephant Trunk Nebula is part of the emission nebula IC 1396. 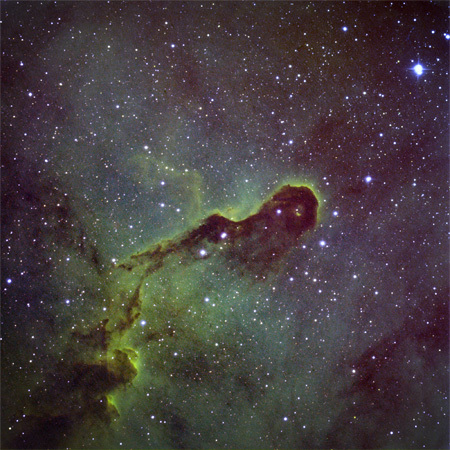 It was given this name as the gas cloud resembles the head and trunk of an elephant. 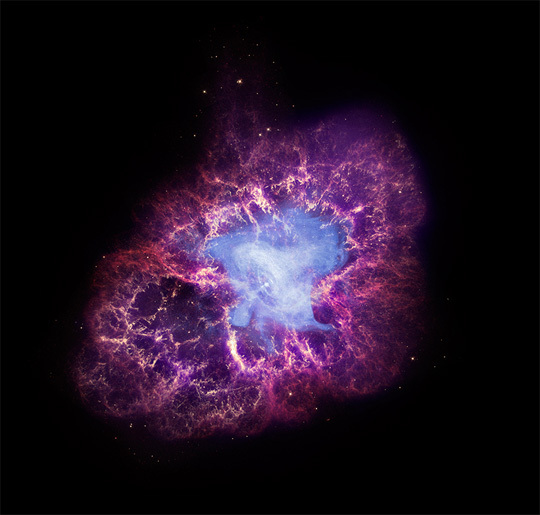 While the entire nebula covers 5 degrees of the night sky, the trunk part of it is estimated to be 20 light years long. Here’s a photo of the Eagle Nebula I took back in July. The nebula also referred to as the pillars of creation is a about 6500 light years away from Earth and the column of star forming gas and dust in the center is approximately 60 trillion miles high. At least we know there are somethings in the universe bigger than our national debt. Here’s a higher zoom picture of the center area. 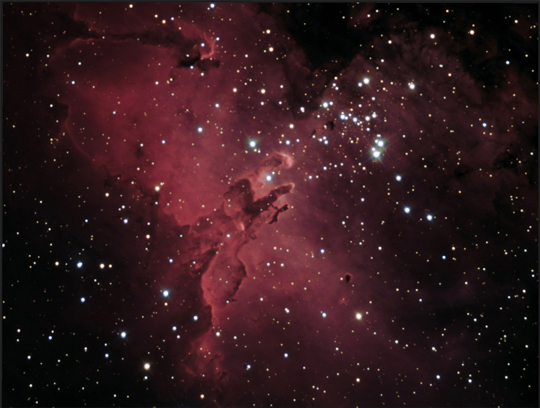 Primarily visible during the summer months, the Eagle Nebula is one of the most majestic and awe inspiring objects in the night sky. Here’s an astrophoto of NGC 6960 from a couple of weeks ago. 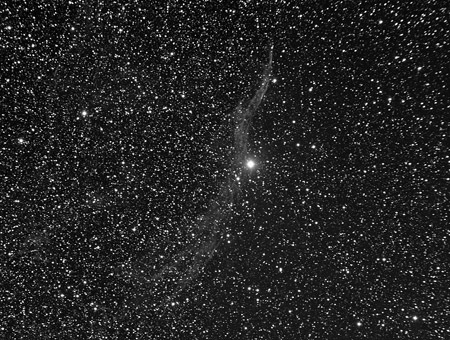 Also known as the Veil Nebula, NGC6960 is a cloud of heated and ionized gas and dust found in the constellation Cygnus. 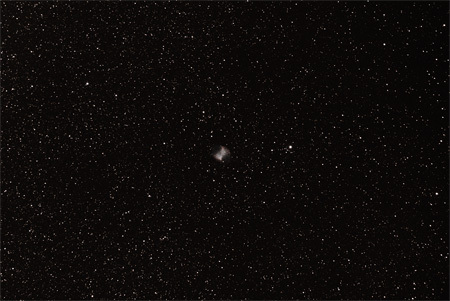 This is the second in a series of test photos that I took during the last new moon phase at the beginning of June. I was testing and improving various aspects of the system. Most of the photos shot during this period were black and white mainly because I was working on other issues at the time, like: tracking/polar alignment, guiding, focusing/image correction, flat/dark calibration and learning new software and techniques. It was a very productive week. The photo does suffer from a few problems including: imperfect guiding and distorted optics, especially at the corners of the image. This seems to be one of my last major hurdles and requires getting the field flattener set just right. Part of the process of improving the pictures is identifying specific imperfections, understanding why they exist and then acting to formulate solutions to the challenges. Despite these problems, I’m still happy with the image especially since its only the second photo I’ve taken with this new camera system. 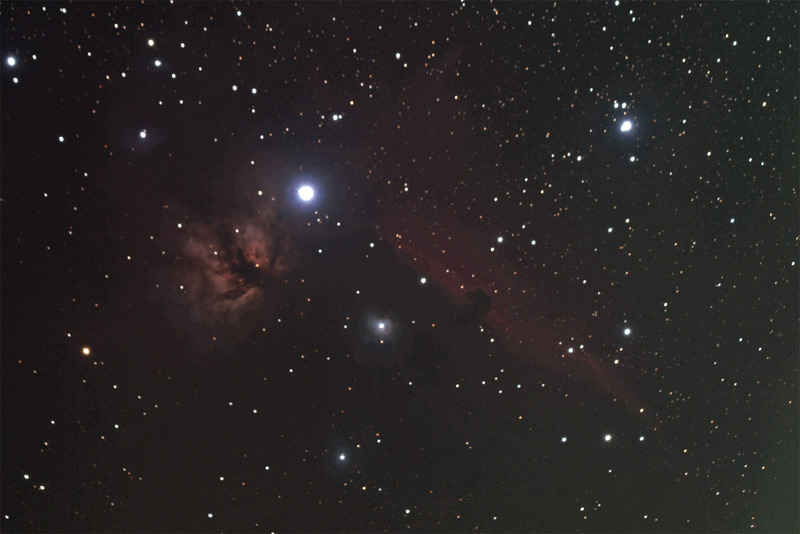 The Horsehead Nebula is found on the left side of Orion’s Belt, near the star Alnitak. It is difficult to see with the naked eye through a telescope, but on a long exposure it can be a remarkable sight. 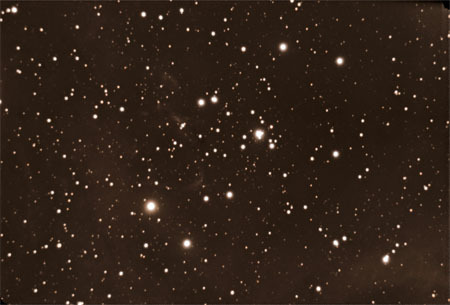 Its that time of year again and Orion the hunter is currently rising in the east just before midnight. 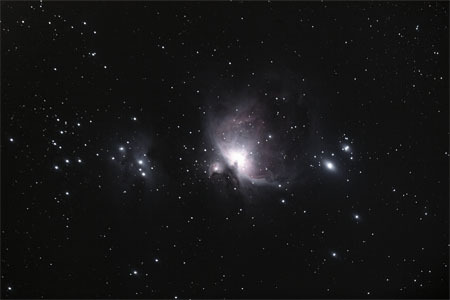 Orion is home to several spectacular nebula the most famous being M42 – The Great Orion Nebula. M42 is a defuse nebula situated just below Orion’s belt. 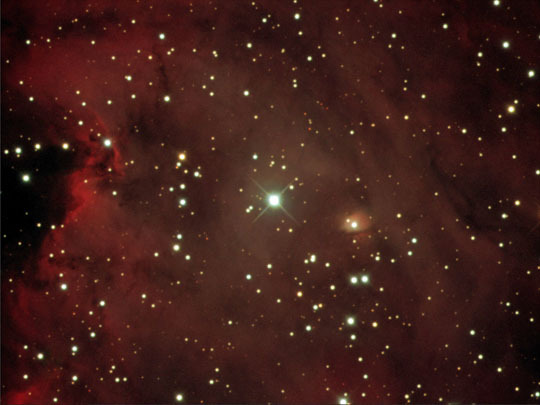 Coming in at 24 light years across and only 1,344 light years away from Earth, the great nebula is big enough and bright enough to see with the naked eye, but without optics, its not much more than a smudge located in the center star of Orion’s sword. 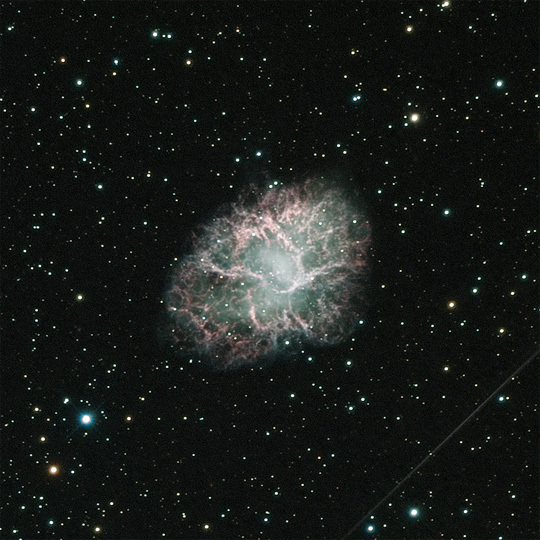 This diffuse nebula is one of the brightest nebula in the sky and a fantastic sight in binoculars or a small telescope. 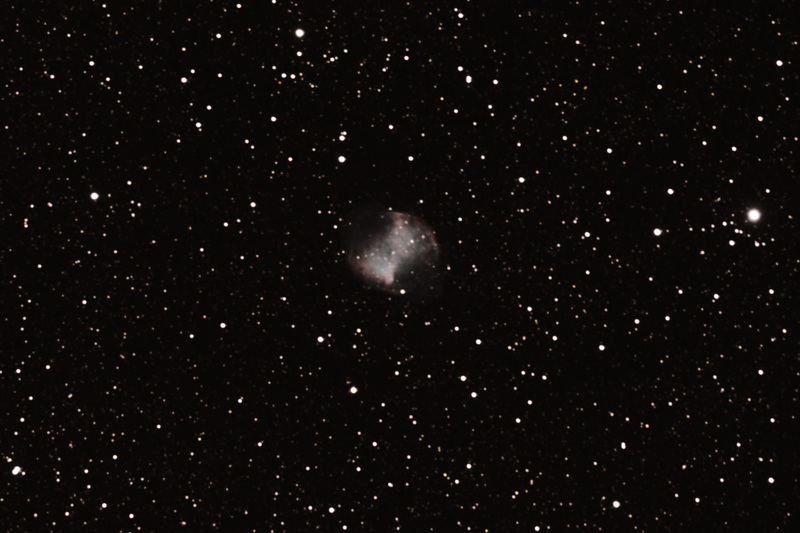 Here’s a recent picture of the nebula, much better than my first. Here’s a picture of the Messier 27, the Dumbell Nebula, a planetary nebula 1367 light years away from Earth. Full magnification cropped frame below. and here is the full picture. 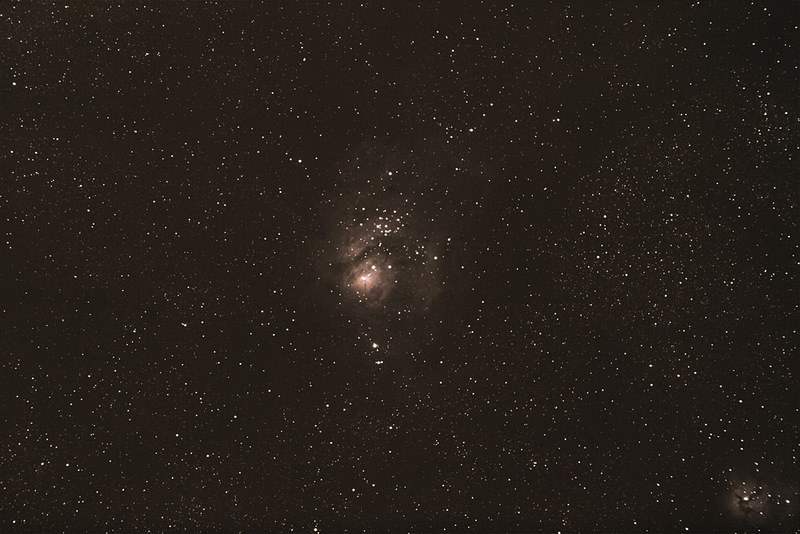 Here’s a photo of Messier 8 — The Lagoon Nebula, a giant interstellar cloud in the constellation Sagittarius. 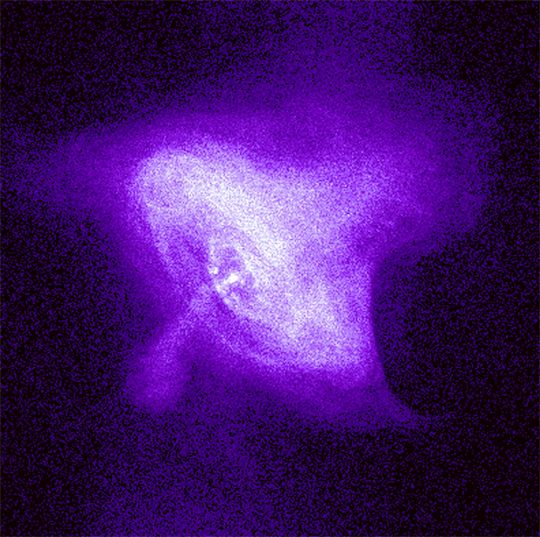 Here’s the core at full resolution. Here’s a picture of NGC 2244 I took using the new telescope. I’m really still figuring things out with this new scope, trying to get it setup, get polar alignment right, get focusing right — basically re-learn everything I’ve learned in the last year with the other scope. 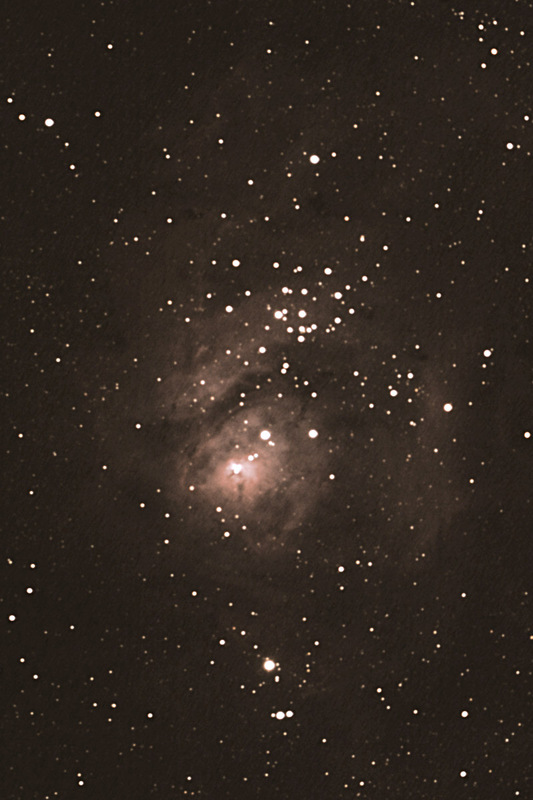 I was able to capture this photo on the third night of using the new scope.